God’s on an adventure, and your family is invited to join Him! 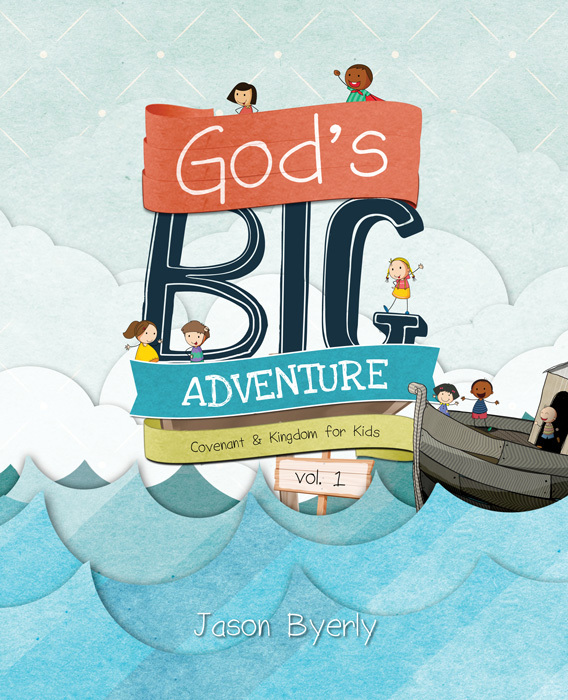 In God’s Big Adventure, Volume 1, kids and parents will discover the big story of the Bible, a story about a King who’s on a mission to save the world. It’s the greatest love story and adventure story of all time. Best of all, this story can be your story too. In Volume 1, families will take a fresh look at unforgettable characters like Adam & Eve, Noah, Joseph, Abraham and Moses and see how they were swept up into the best story ever, a story that’s still going on today. Packed with kid-friendly examples and whimsical illustrations, these 30 family devotions will help your children to live out the Bible in three unique ways. Kids will be challenged to look UP and think about their relationship with God, look IN and consider how they can live it out with faith-filled friends, and look OUT and discover how they can share God’s love with the world. So, don’t miss out. Snuggle up with your family, open up the Bible and let your adventure begin. To get updates on the book release and to receive cool insider bonuses and giveaways, sign up for the God’s Big Adventure e-mail below.